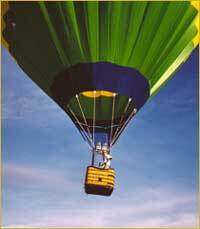 There is no experience on earth like riding in a hot air balloon. Gliding effortlessly with the wind, looking down on the towns and people far below... Now you can take a hot air balloon adventure above Puerto Vallarta! Watch the beauty of this jungle-draped city while you sip Mimosas and Champagne at sunrise. If you're looking for a romantic idea this vacation, you've hit the jackpot. 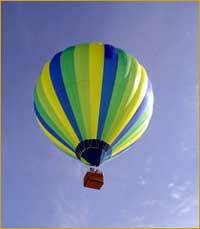 THIS TOUR IS NO LONGER AVAILABLE - THERE ARE NO LONGER ANY HOT AIR BALLOONS IN PUERTO VALLARTA. 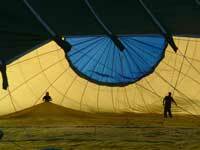 After a safety briefing and a question and answer period by your guide, you'll inflate the balloon and sail to 2000-3000 feet (600-900 meters) and see the magnificent vistas of the Sierra Madre and the Pacific Ocean. Descend to 150-500 feet (45-150m) and glide narrowly over the treetops along the Ameca river. You may catch a glimpse of alligators, iguanas, deer, parrots, flamingos, and iguanas as you drift by. This is truly a memory in the making. Cruise Passengers: Yes! This exclusive private charter is perfect for a cruise shore excursion! Runs: Daily, weather permitting at 7:00 AM from Puerto Vallarta or 7:20 AM from Mezcales. Duration: 3.5 hours - flight time is approximately 1.5 hours.